Neral is a quaint town in the Raigad district of Maharashtra. Badlapur and Karjat are the nearest major towns. Neral is an idyllic town on the western coast of India and downhills of Matheran hill station. It lies almost on the same latitude as Mumbai. The easy accessibility has helped it evolve as a prime weekend getaway. Pune Highway, Nasik Highway, Goa Highway, Mumbai-­Pune Expressway offer strong connectivity to the neighboring areas. The nearest airports are Mumbai Airport and the proposed Navi Mumbai International Airport. The Nhava Sheva JNPT Port is the nearest seaport. Its proximity to many industries and holiday spots has attracted a number of residents, investors and Real Estate Developers to Neral. Newage Realfin Pvt.Ltd. is a well known name in the Real Estate Industry. As an esteemed real estate broking service and real-estate consultant, the company has helped a lot of people in realising their dreams of having a second home in the lap of nature. They have a range of properties to cater to various verticals of clients and their objective is to create a unique experience for each and every customer. The company has a Commercial Real Estate division which specializes in Investment sales of all types of traditional asset classes. The founders of the company have ensured the highest standard of services for each and every customer without failing. The company boasts of a highly experienced and dedicated team to manage all the operations efficiently. 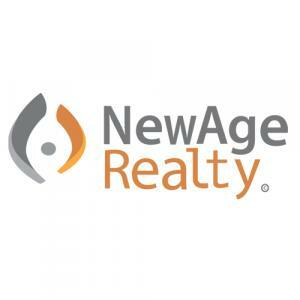 If you are looking for best vacation homes in the locations of your choice, Newage Realfin Pvt.Ltd. is the name to vouch for and trust with your eyes closed.